Sigrid de Castella grew up an obese child in a family of famous athletes. The ridicule and shame she experienced as a young child followed her into her 20s and 30s until she finally found the courage to change. Her search for the truth led her to realise the trauma of the sexual abuse she’d experienced as a child – at the hands of a family acquaintance – was not the only thing keeping her fat. Armed with a newfound knowledge she began to tear down the protective wall she’d built around herself, brick by brick and set about changing her weight and her life. The result is a most remarkable transformation. 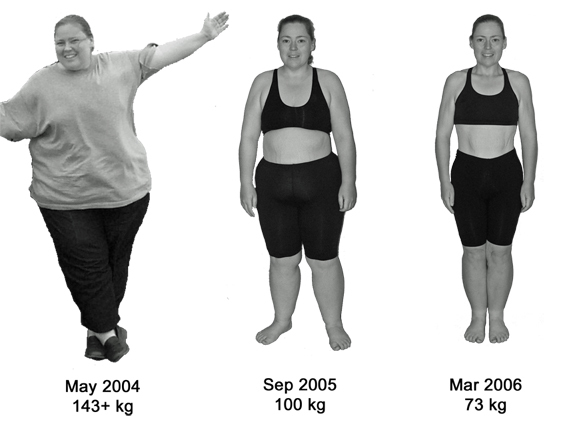 Sigrid lost over 70kg (150 pounds) – more than half her body weight – without surgery and without ‘dieting’. 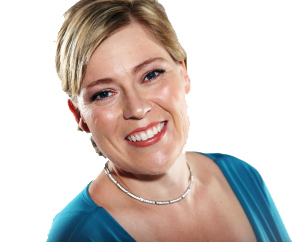 In the 20 month journey Sigrid not only discovered the secret to life-long health and vitality, she discovered how to regain her life and re-build it from the ground up to achieve a new sense of freedom, love and happiness. With a personal knowledge of how painful it is to be judged by your looks and your weight rather than your abilities, Sigrid is determined to share her secrets with others, so they too can achieve their full potential. It is her desire to inspire others to reach their dreams that drives Sigrid to write, speak and mentor. Half The Woman I Was is the title of Sigrid’s second book and the brand name that she has developed with the aim of reversing the alarming statistics of the obesity epidemic in Australia and New Zealand. In the United States the levels of being overweight or obese have steadily increased from 19.4% in 1997 to 74.6% in 2011. Although America once took the crown for the highest incidence of obesity in the western world, unfortunately Australia has now surpassed that rate at 75% and growing. Half The Woman I Was is committed to inspiring and empowering individuals to achieve their desired level of health and vitality through self-awareness and education. Half The Woman I Was values integrity, honesty and compassion, and it is with these in mind that information and training is provided in order to empower its readers to change their lives and achieve their dreams. Sigrid is a member of the Australian Institute of Management and the Australian Society of Authors. She lives in Melbourne with her husband, Antony, and their two dogs, Kimba and Willow.